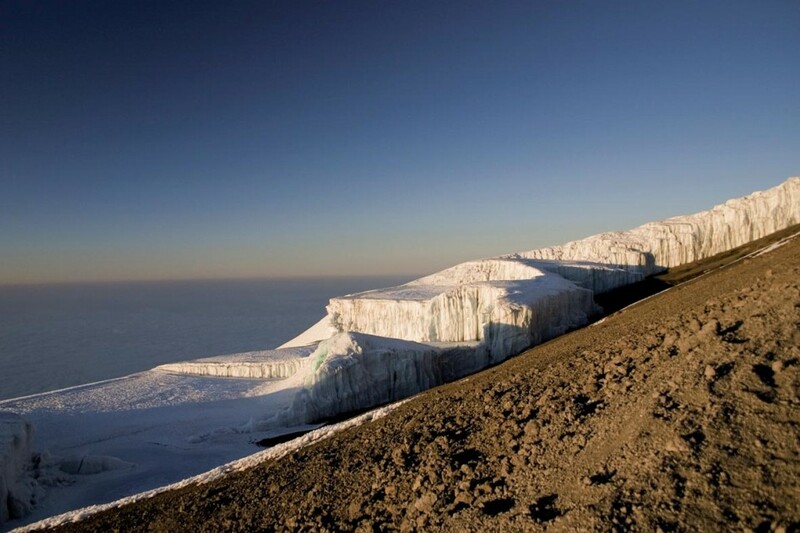 The Marangu route is perhaps the easiest and most comfortable way to reach the summit of Kilimanjaro. The route is popular, well-developed and the climb is constant and moderate. The approach to the summit is the exception, however, and demands more from body and mind. Accommodation is dormitory style in rustic huts and is more comfortable in the cold nights. Beautiful passage through the forest with trees, ferns, flowers and birds. Look out for the monkeys. Long day hiking through moorland with Senecio and Lobelia plants. Views of Kibo and Mawenzi peaks. Acclimatise with a hike to the interesting Zebra rocks; return the afternoon to rest at the camp. Landscape changes to barren rock. Passing the Last Water Point and cross over the Saddle to Kibo hut. Up at witching hour to head up to Gillman's Point on the crater's edge. Then on towards the summit on Uhuru Peak. A dusty fast descent via Kibo hut to Horombo Hut. After a farewell ceremony at the hut by the crew you will descend through the cool forest to the park gate. Transfer to Moshi. Arriving at Kilimanjaro airport, you will be met by our transfer driver and taken to the Keys Hotel in Moshi. The rest of the day will be free. Relax at the pool or explore the small town of Moshi. Later you will meet our operations team. Your gear will be checked and you will be briefed on what can be expected the next few days. Overnight stay at the Keys Hotel. After breakfast at the hotel, you will be collected and taken to the Kilimanjaro National Park Gate (1860m). After some paperwork at the gate, the porters will load the gear and your trek can begin. Soon you will find yourself in the misty forest - trees, ferns, flowers and birds abound. You might also see blue monkeys or the white-tailed black and white colobus monkeys. You will reach Mandara Hut after about four hours. After resting a while, you can walk to the Maundi Crater from where you will have views towards Kenya. Supper in the dining hall of Mandara Hut (2700m). After an early breakfast you set off and soon you will be out of the forest. Continuing into a section of shrubs and grass - the moorland zone is where you will stop for lunch on the way. 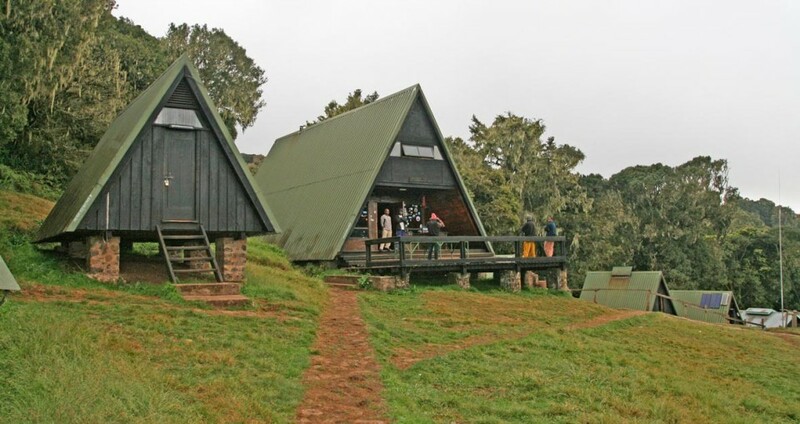 Continue for a couple of hours to reach the bustling Horombo Huts at 3700m. The huts have great views over the farms and plains below. You might start to experience the altitude: headaches, nausea. Drink a lot of water, eat well and rest. Up and down. Today will help your body to adapt to the altitude. This section will improve your chance of reaching the summit. After breakfast, you will hike to the Zebra Rocks (4020m) named after distinctive black and white stripes of the rock formation. Returning on the same path, you will be back at Horombo in time for lunch. The afternoon is free to explore. Overnight again at Horombo Hut. Today’s section is long and uphill. The scenery changes into a moon landscape, barren and rocky as you cross the 'Saddle.' The piece of mountain was formed when the volcano erupted. The resulted lava flow now links Kilimanjaro's two peaks - summit Kibo and Mawenzi. If you experience headaches and nausea, these are symptoms of altitude sickness. Help your body cope by drinking water and walking slowly. You should reach Kibo Hut after about five to six hours. Supper will be served early so you can get to bed. Try to rest as you will need to be up and walking again by midnight. Today is summit day. You start out at night when the volcanic ash is still frozen and walking is easier. The mountain guide will wake you up and after some tea and snacks you will begin the slow trek to the summit. You will stop briefly at Hans Meyer Cave at 5220m. Continuing 'pole pole' you should reach Gillman’s Point (5681m) on the crater's rim by sunrise. As you feel the warm rays of the sun, you will continue for an hour or more up to the peak. Standing here on Uhuru Peak at 5895m you are now on the 'Roof of Africa', the highest point on the continent. After a few photos and hugs, you will turn back. The descent is fast and dusty as the lava ash will now have thawed. After a few hours you will stop at Kibo Hut for a snack and a rest. From there you will continue down to Horombo Hut (3700m) arriving in the afternoon. Eat well to replace lost energy and have a good rest. After an early breakfast you will give the tips to your hardworking crew. They will in turn break out in traditional song to celebrate you reaching the summit. The final leg of your Kilimanjaro trek passes along the same path that you ascended on - through the heather, red-hot pokers and shrubs of the moorland vegetation zone. You will stop for a cooked lunch at Mandara Hut (2700m). Soon, you will descend into the humid and green forest where you might spot the extravagant tails of the colobus monkeys. After a total time of six hours hiking, you should reach the Kilimanjaro National Park Gate. Transfer back to the Keys Hotel in Moshi where a hot shower, fresh clothes and cold beers are waiting. Overnight stay and supper at Keys Hotel. - Group sizes vary however there is a minimum of 1 and a maximum of 10 travellers per group. - As per the national park authorities, the minimum age for climbing Kilimanjaro is 10 years but seeing that children are more prone to altitude sickness than adults, we recommend a minimum age of 14-16 years. There is no maximum age restriction, but a medical check-up is advisable for people over the age of 60. - Kilimanjaro is one of the few mountains of its height, than can be challenged without mountaineering skills or experience. You should however be healthy and fit enough to manage the 4-6 hour hike each day, as well as the 12-14 hour hike on the day of the summit. For the last stretch, much endurance and willpower is needed. 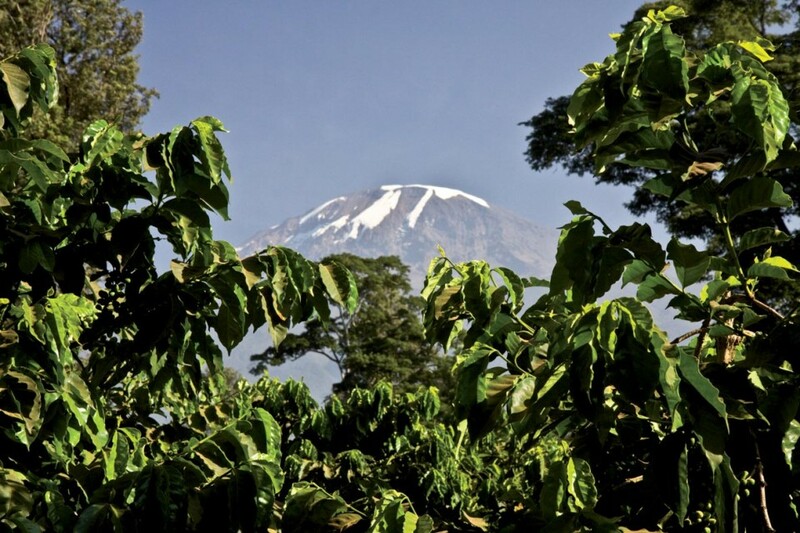 Is it possible to climb Kilimanjaro at any time of the year? - Generally yes. We however discourage any attempts during the main rainy season (end of March to beginning of June). In the small rainy season (November), daily short rainfalls and cloudy views can be expected. From December until the end of February, temperatures are at their highest and rainfall is at its minimum. The best time to travel is between the end of June and the middle of October, when temperatures are a little lower and there is almost no rainfall. 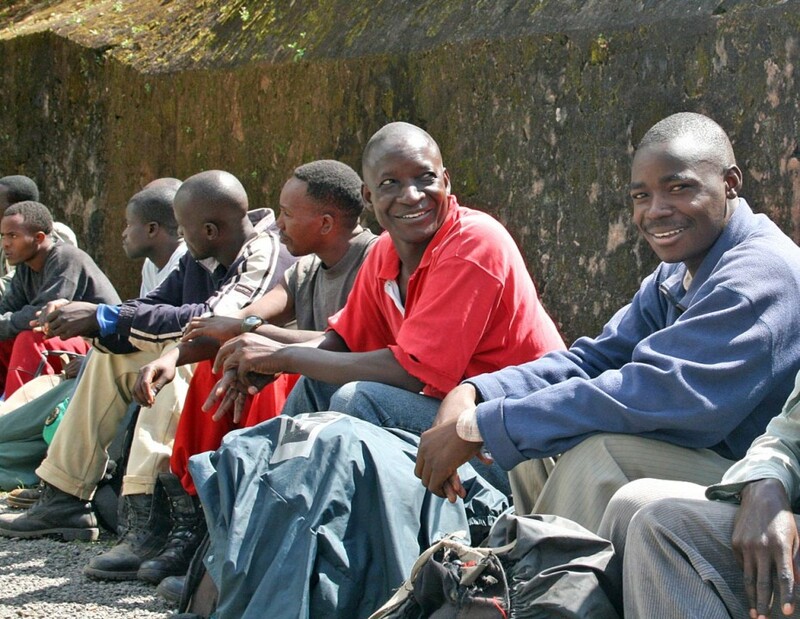 - The Marangu Route, also known as the Coca-Cola Route is considered to be the easiest path up the mountain. You will overnight in mountain huts opposed to sleeping in tents like on all other routes. Protected from bad weather conditions, this type of accommodation allows you to rest when you need it most and this might give you a better chance of reaching the summit. Both ascent and descent follow the same route where you will meet other groups hiking in opposite directions. Where does the group overnight? - Overnight accommodation will be in basic mountain huts, which you will share with other climbers. Sleeping mats are provided. What kind of ablution facilities can I expect? - At the Mandara Hut (the first camp), simple ablution facilities (running cold water, no showers) are provided. At all other camps there are no ablution facilities except for basic long drops (very simple latrines). What meals are included and what food can be expected? - Fresh water will be collected from the available sources on the mountain and is boiled before it’s served. 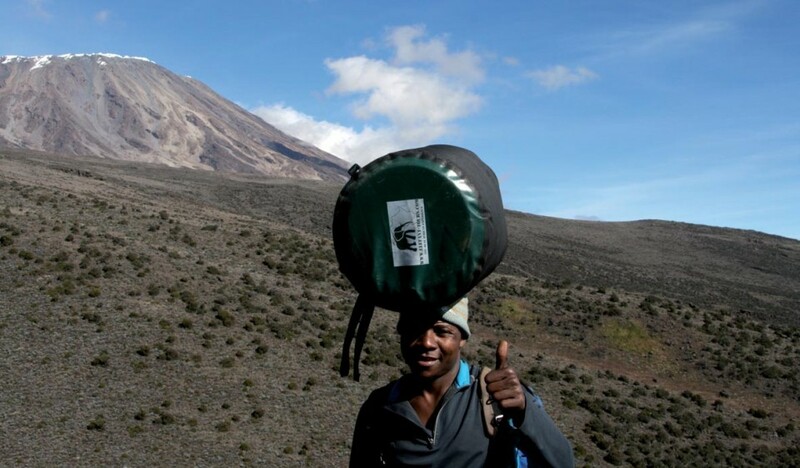 Porters will carry water in canisters for the higher areas, where no more fresh water is available. All meals are freshly prepared by your cook. Breakfast usually consists of fruit, scrambled eggs, porridge, toast and jam, hot chocolate, coffee or tea. For lunch you are usually provided with a lunch box that contains sandwiches, boiled eggs, chicken etc. For dinner you will be served a soup and bread followed by the main course that either consists of red meat or poultry served with some sort of starch (chips, mashed potatoes, pasta or rice) and vegetables. For dessert you will get fresh fruit, hot chocolate, coffee or tea and milk. - Breakfast and dinner are served in a mess hall that is equipped with tables and benches while lunch is en-route. - We are able to provide meals for vegetarians or people with other dietary requirements or food allergies but we need to know in advance in order to cater for special requests. How to handle the altitude? 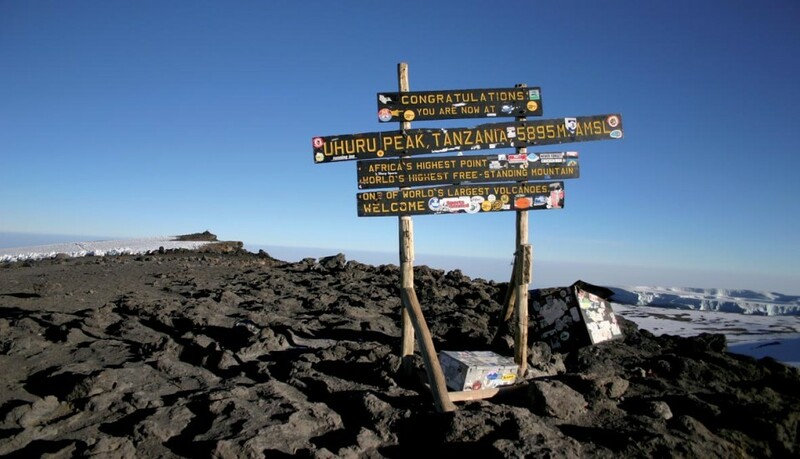 - Almost every hiker attempting Kilimanjaro will notice the altitude and the thinner air. Fitness fanatics are just as likely to suffer from it as are couch potatoes. Symptoms include headaches that are often accompanied by fatigue, loss of appetite and nausea. More often than not, symptoms are mild, allowing you to continue to ascend. Occasionally the symptoms are more severe and a rapid descent is required, after which your body tends to recover quite quickly. Please however always keep in mind, that severe altitude sickness can be life threatening and it may even lead to death. We do not recommend the use of medication, as it suppresses the symptoms of altitude sickness. We do however encourage you to drink enough water to replace the fluids lost from the physical activity. Two to four litres per day are recommended, as are supplementary mineral tablets (magnesium) to help replace lost minerals and to prevent muscle cramps. What happens in a case of emergency? - Unfortunately there are no state of the art mountain rescue services like the ones to be found in the European Alps for example. If you no longer have the ability to walk yourself, you will either be carried or transported on a wheeled stretcher. This is by no means a pleasant experience which is why we encourage you not to overstrain your body and to travel safe. Helicopters can only land at a lower altitude and are therefore rarely used. - Please ensure that you are covered by your health insurance while travelling. If you do not have sufficient coverage, we highly recommend taking out appropriate travel insurance. Your insurance should cover all your medical expenses including costs for rescue and repatriation. Of course the above is just a guideline. If you are happy with the service received, you are welcome to show this when it comes to tipping. - If you plan to tip in USD, please make sure the notes have been printed after 2004 as any earlier dated bank notes are not valid and can therefore not be used in Tanzania. What kind of equipment and clothing should I bring? - Different layers of clothing including thermal base layers, fleece clothing, trekking pants, warm jacket and water-resistant top layers as well as a warm headgear. Please note that the above list is not complete and these are just a few things that you will have to bring with you. Once we have confirmed your booking, you will receive a more detailed list. - In general, European citizens can apply for a Tanzanian Tourism Visa upon arrival in Tanzania. - The trekking tour starts and ends in Tanzania, a yellow fever region, which is why we recommend a yellow fever vaccination. - Although there are no mosquitoes at high altitude, Tanzania is within a malaria region. It is up to you if you wish to take medication, but we suggest that you speak to your doctor or travel clinic about the different prophylaxis and their effects and side effects.